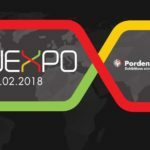 From 28 to 30 March 2019 at Parma Tecno E.D.M. 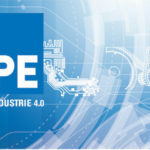 fairs Srl will be present as an exhibitor at MECSPE 2019, the reference fair for the manufacturing industry. Immerse yourself in a unique and unforgettable multi-sensory experience! Discover the road to the future of the intelligent factory and the path of innovation and excellence of MECSPE! To register, click on the button below REGISTER AND GET THE FREE ENTRY TICKET! and follow the instructions on the screen. Following registration you can access the accreditation and request free entry valid for all three days of the event. Tecno E.D.M. 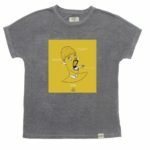 Srl actively participates in the PERPETUA project, providing the raw material for the realization of a stylish and functional 100% made in Italy design object. 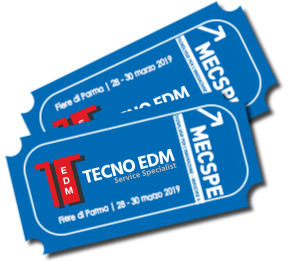 For any electro-erosion needs you can find in Tecno E.D.M. Srl a competent, complete and efficient structure to interact to, with a strong presence across the national territory.